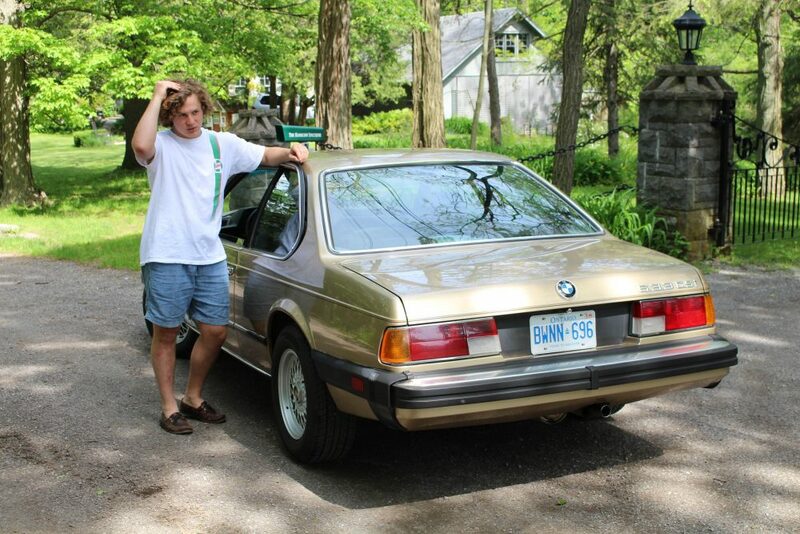 My name is Jack Perigord, l live in Ontario, Canada: I am 16 years old, and I drive a 1982 BMW 633csi (E24), as well as a 1994 BMW 740i (E32). I know it may sound silly, but I really do have BMW in my blood. The 633 was passed down to me from my father, and to him from his father. I have been washing it every time it has come out of the garage since i was around 7 years old. 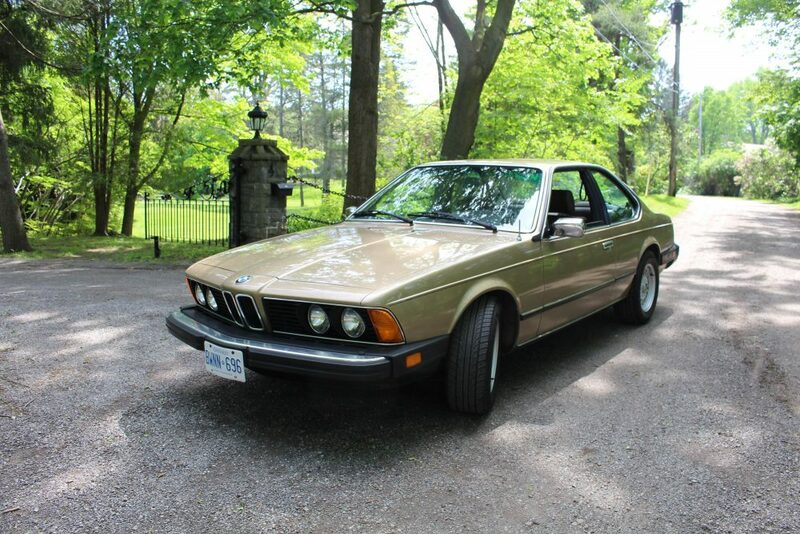 The car was originally purchased when new by my grandfather from BMW Canbec out of Quebec, Canada. He opted for a unique mixture of Kashmir gold paint, and chocolate brown interior; this car really does have an incredible color combo. The car was purchased as his “trip car,” and was only driven as such. Around town, he instead drove a BMW 535i, but whenever he was heading somewhere further away for business, he would drive the 633. 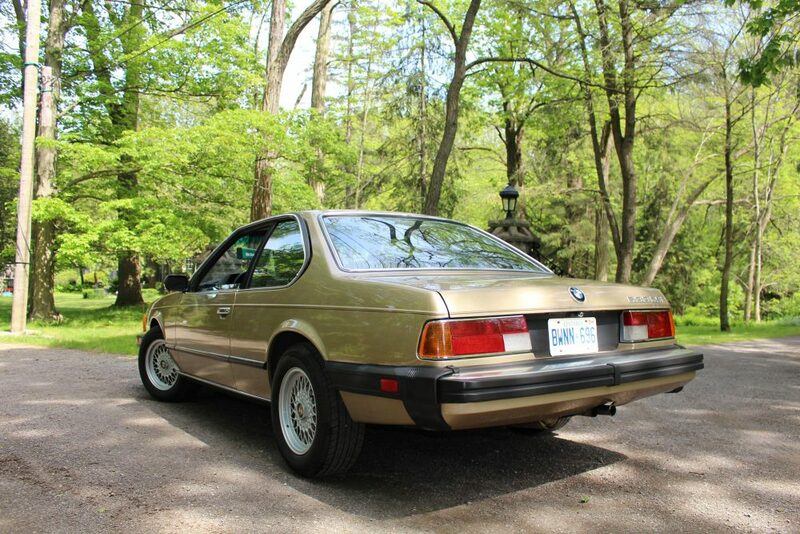 It has been garaged for its whole life, and now has only 107,000KM on the odometer. It has been undercoated and rust checked, as well as supremely looked after in other regards, resulting in its tremendous condition 35 years later. Unfortunately, My grandfather passed away on February 1st of 1994. I never had the honor of meeting him. To me, this car is a part of my grandfather that lives on, it’s a way for me to connect with the man I never had the chance to know in person. And it makes me smile at his memory every time I get in; the car is really something else to drive. 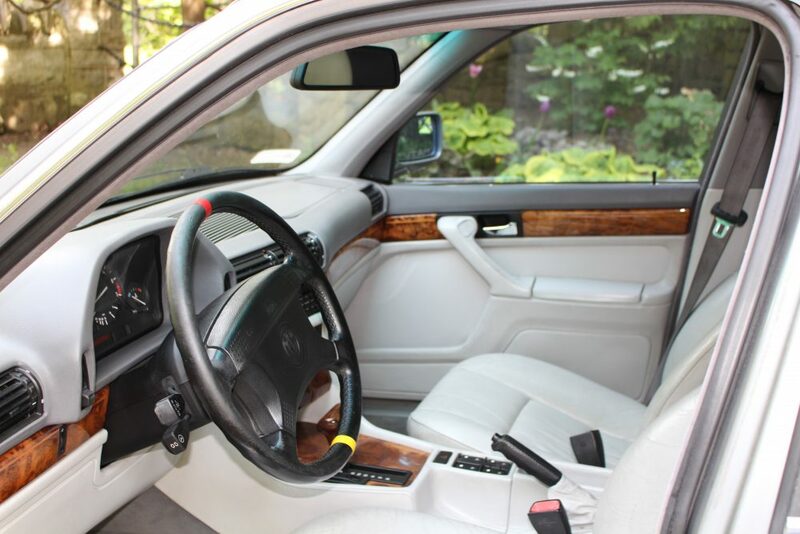 Its comfort amenities are subtle, or just non existent, which is odd for a car that was once at the top of BMW’s line. The only unnecessary gadget it contains is a clock. The seats are comfortable, but stiff enough to remind you that you are driving a BMW sports touring car. And in keeping, it handles incredibly well considering that it is sitting on the original Bilstein shocks and suspension components. Body roll is limited as long as you don’t load the suspension too quickly into a corner. 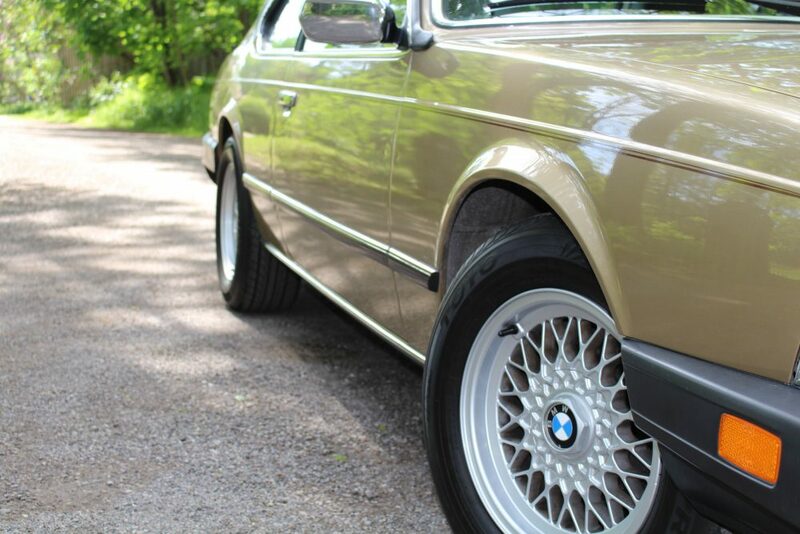 The original 14″ BMW TRX-2 wheels were far too small and really did not suit the car in our opinion, so they have since been changed to 15″ BMW E34 BBS shoes instead. Not a crazy upsize, just enough. 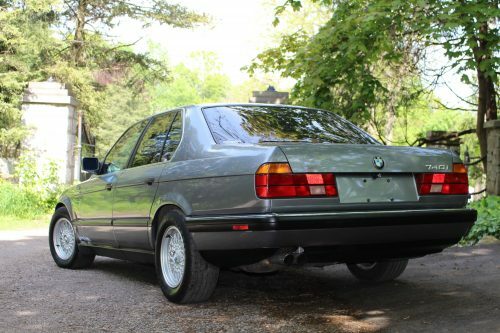 However, since the 633 is too special to me to by a daily driver, i set out to find another BMW that would hopefully capture a similar feeling. 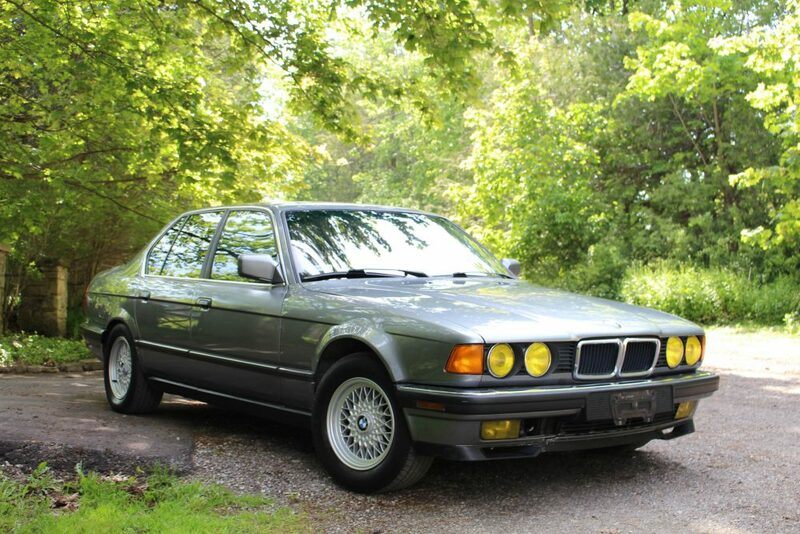 After searching around for a while, I found a 1995 BMW 525i (E34) sitting under a maple tree in an elderly couple’s yard a few blocks from my house. It was an automatic with the 2.5L M50 straight-six. Though I would have preferred a stick, I quickly befriended the couple and learned that the car was for sale. I bought for next to nothing and began assessing my purchase. 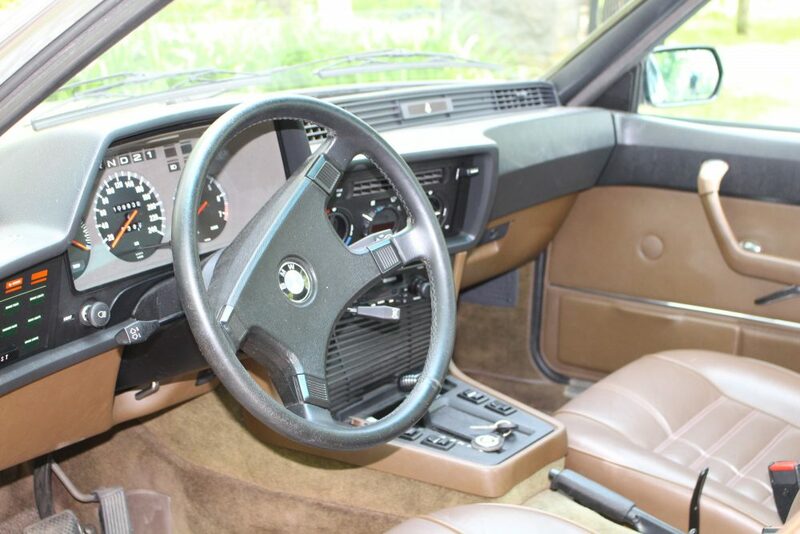 The 5-Series was Fjordgrau metallic with black interior. A monochrome color that suited the sober design well. 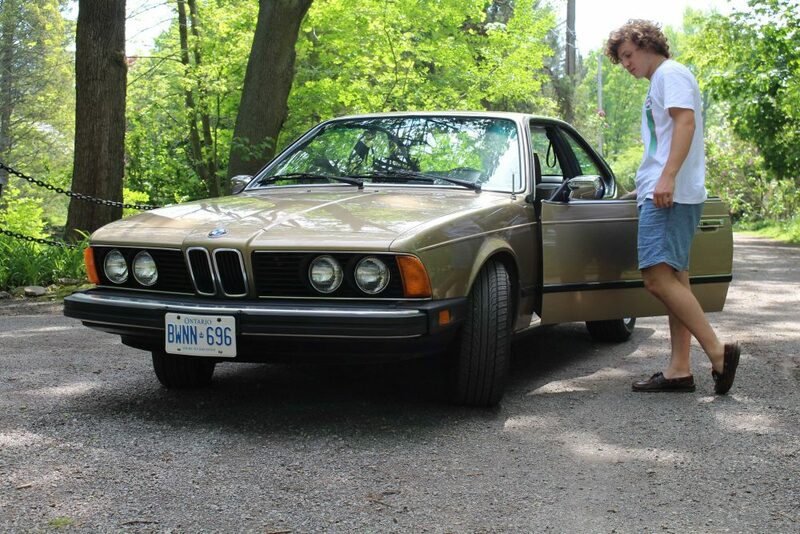 The car was not all that rusty, even from a life outside in Canada, but the M50 had accumulated over 340,000KM in its life, and did not seem like it would want to stick around for much longer. So, I passed that car onto its next owner and started searching once again. 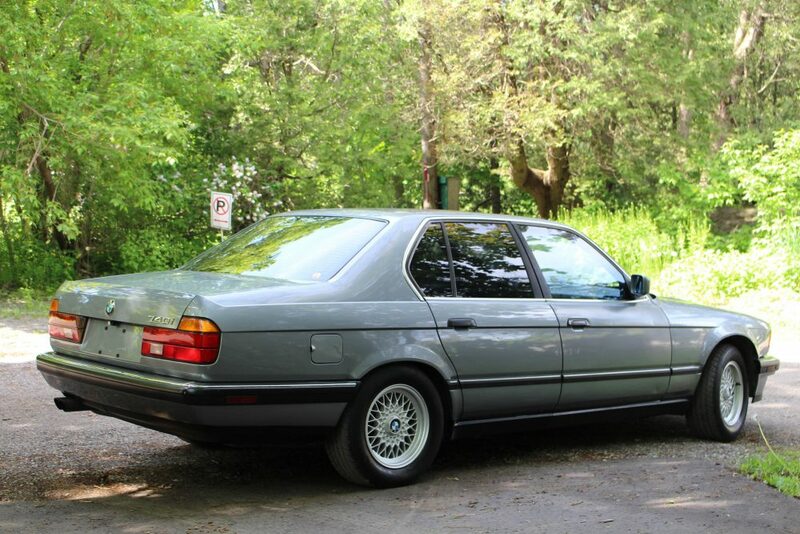 This time I found myself a five-speed 1997 BMW 328i (E36) in Arktissilber metallic. I bought this one for a very low price as well. The previous owner had stripped the interior, welded the differential solid, straight-piped the exhaust, and cut the suspension springs. I was anticipating the reversal of all of these negatives that had been done to the car and returning it to its former glory. The engine and transmission had only 170,000KM accumulated all told, so it really did seem like a worthy candidate of restoration. But, as time passed, the car’s previous owner’s abuse started to show. More and more coolant started to disappear from the system, and it would either end up in my oil, or in clouds out of the tailpipe. 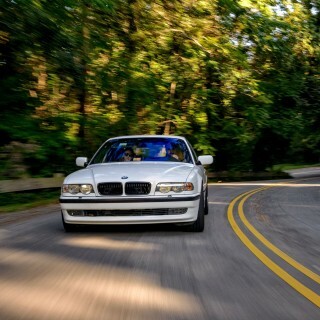 It finally dawned on me that I was not emotionally invested enough in the car to attempt to replace the head gasket; it was with sadness that I said goodbye to the E36. 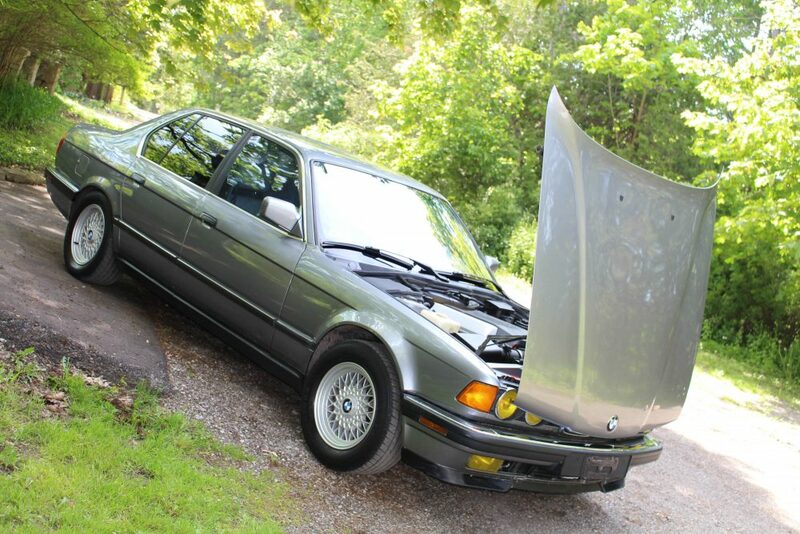 Some time went by since the sale of the 3-Series, and still I had not found anything that caught my eye. 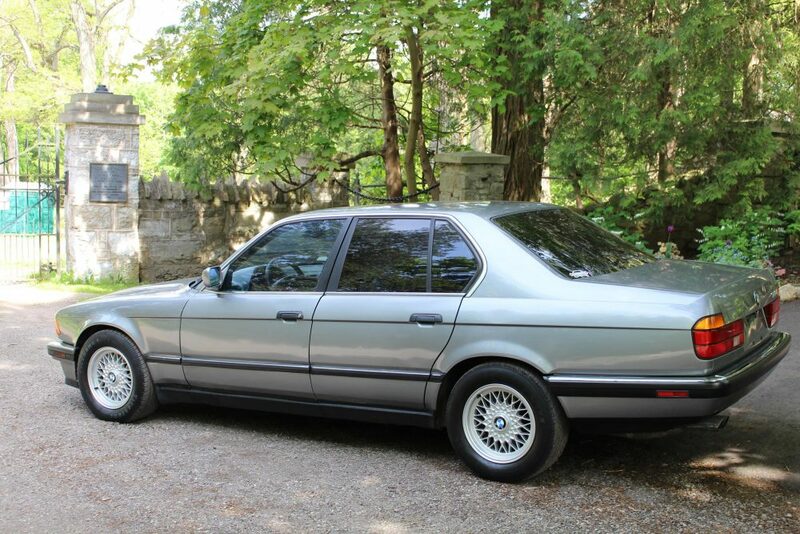 Then one day browsing the local buying and selling websites, I found it: a 1994 BMW 740i (E32) was listed in Toronto, about 45 minutes away from me. It was listed at a decent price, and was in very good condition according to the photos. I knew I needed the car, my first 7-Series, and hopefully one that I could keep for a while this time! I scrambled to get the money together and headed out to take a look at it. According to the seller, the car had previously spent its life in Malibu, California (no rust!) and it was a U.S. car for the majority of its life. It was perfect in my eyes. According to the odometer, the car had racked up 170,000 miles throughout its lifetime, but its looks belied the mileage. As I’d hoped, the body was completely rust-free from being in a great climate. 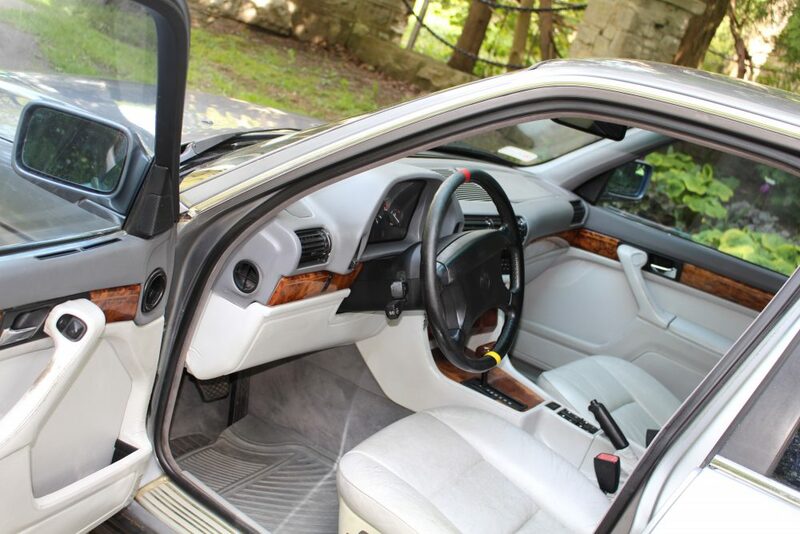 The car was heavily tinted as well, meaning the notoriously fussy Dove-colored leather interior was in great shape. I handed him the money and hurried it home. 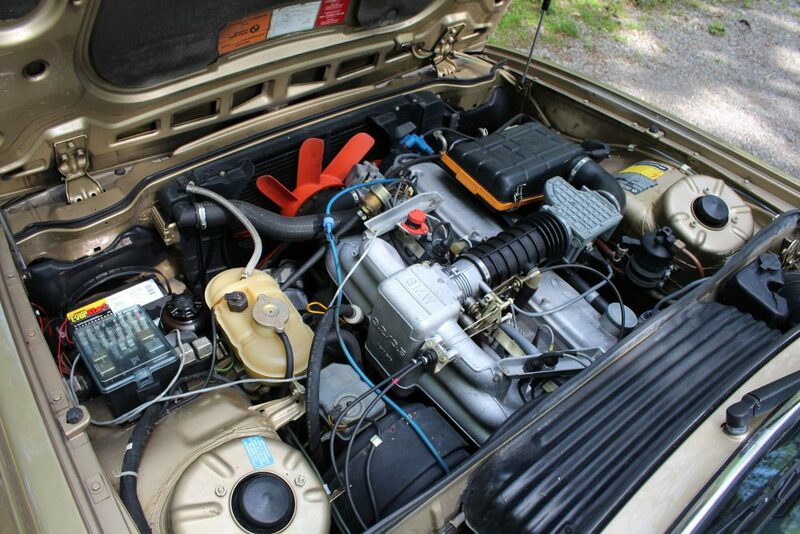 The 4.0L M60B40 V8 is still running flawlessly. 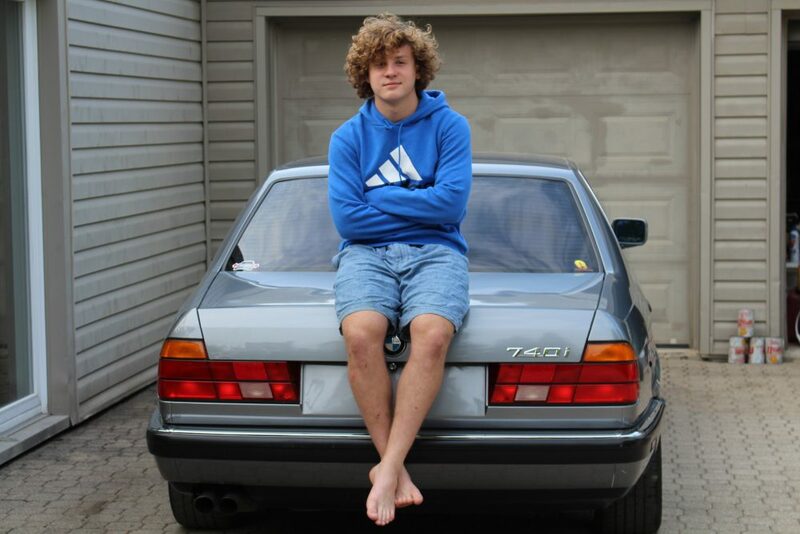 Unlike the E36 owner, my modifications were subtle, and importantly, did not destroy the car! I installed a Lamin-X French yellow headlight and foglight kit, as well as H&R spacers (12mm in front, 20mm in the rear) to get the car to sit as i desired. 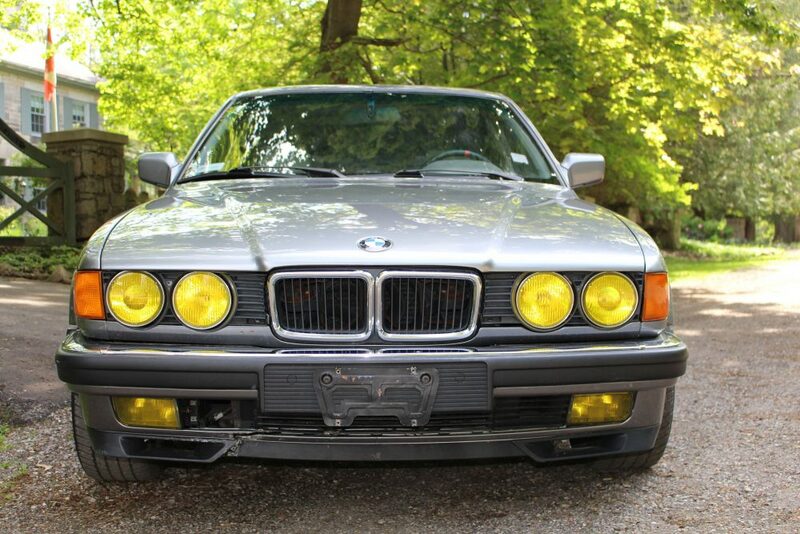 It still looks like a classic Bimmer, but the spacers lend it a more muscular look than stock. Also unlike Mr. E36, I’ve kept on top of regular maintenance such as engine oil/filter, Bosch plugs, and rear diff oil right off the bat. The 7-Series offers a markedly different feel for me as the driver compared to anything else I’ve been in, even the 633. When I sit in it, I know it is ready to take me anywhere, and it will do it with the utmost poise. It has a serious no-nonsense character about it, but a character that still likes to be driven hard on backroads or to the downtown nightlife scene all the same. The 740i, is going to be my daily driver for a long time; it’s truly hooked me. 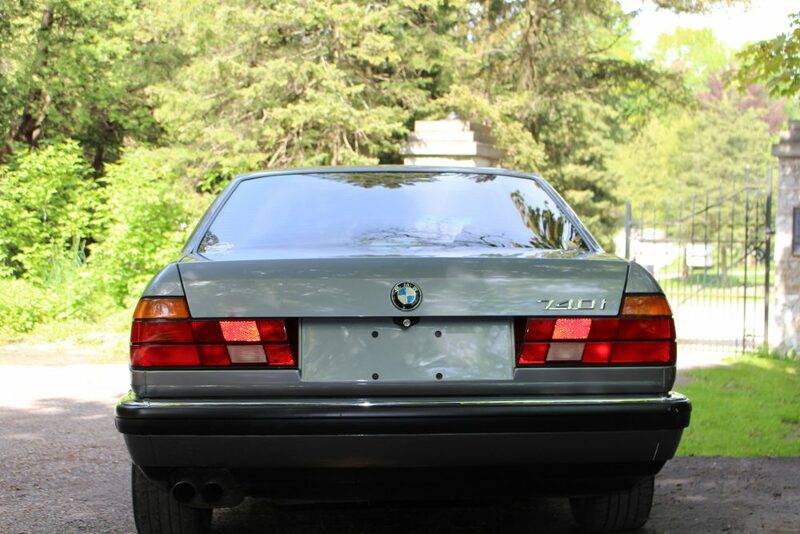 The E32 was the first BMW to feature the “L-tailights,” and was one of the first with BMW’s “modern” V8. I am simply thrilled with the treasure I came across in this E32—I know this one is a keeper. 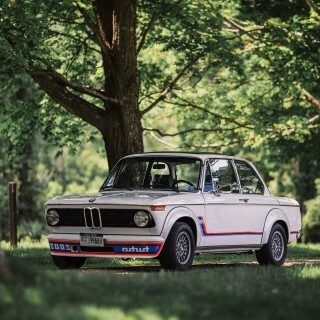 It is really interesting owning two of the most ambitious cars in the vintage BMW fleet. 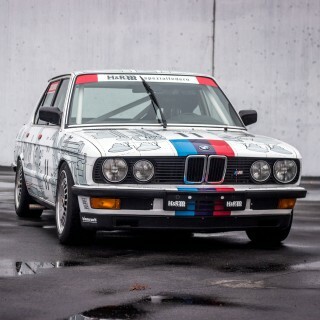 The E24 was BMW’s flagship touring car at the time, and the E32 was BMW’s flagship sedan at the time. The 6-Series has a heavy, yet controlled feeling through the steering wheel, while the 7 has a lighter and easier feel to it. The 7 has much more “get up and go” with its output of 285 horses compared to the 633 with a mildly pissed-off 182. The 7 is much more plush and luxurious with its individual passenger and driver climate control, and the memory and heated seats, but I often ask myself if I would ever even use those options. The 6 doesn’t need any ridiculous comforts to be an intriguing car; its long hood with the aggressive shark nose prow definitely gives off a certain aura that still retains its presence on the road today as it did decades ago. 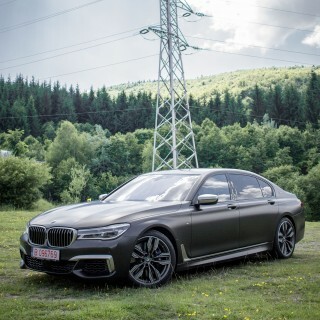 The 6-Series will always be garaged and driven on weekends or special occasions for the rest of its life, while my 7 just wants to be driven and experienced in full all the time; it’s lived a colorful life, and has definitely seen some use, but that just makes it a better driver in my mind. I really cannot wait to take it everywhere I go. 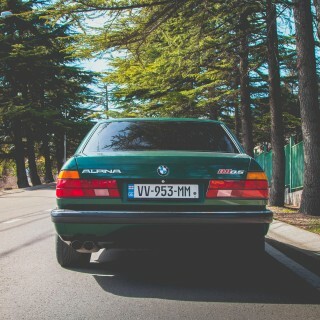 However long that car stays with me, I can say for certain that BMW will remain a part of my life in some form forever. 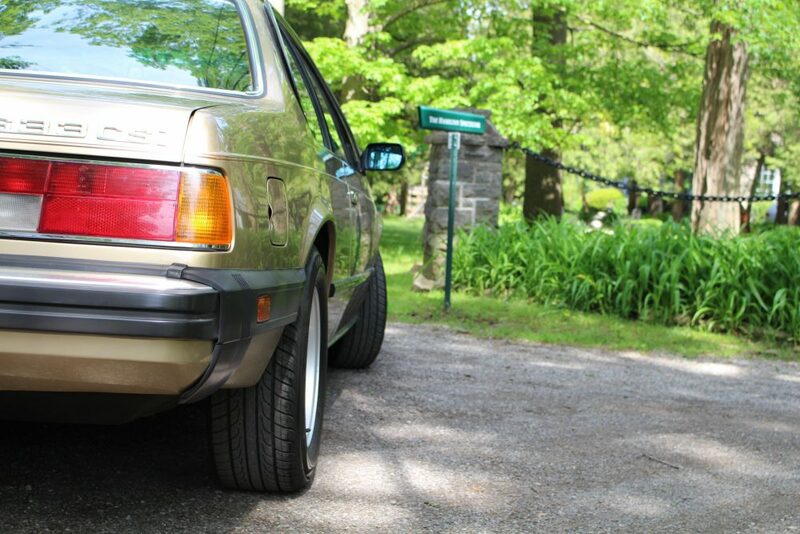 Jack – I want to see you at The Vintage this may in your E24. http://www.atthevintage.com. 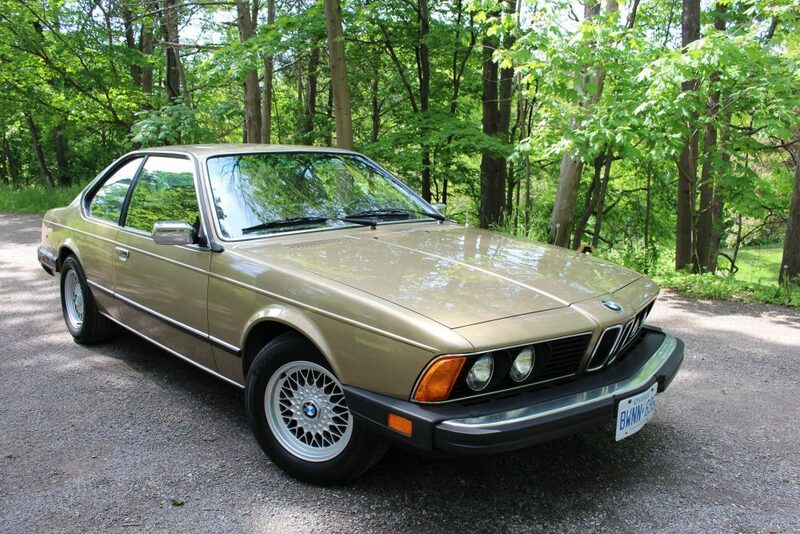 Usually there are a handful of folks that come down from Canada in their old BMWs. Trust me you would love it! Looks very good and very clean i like it a lot! 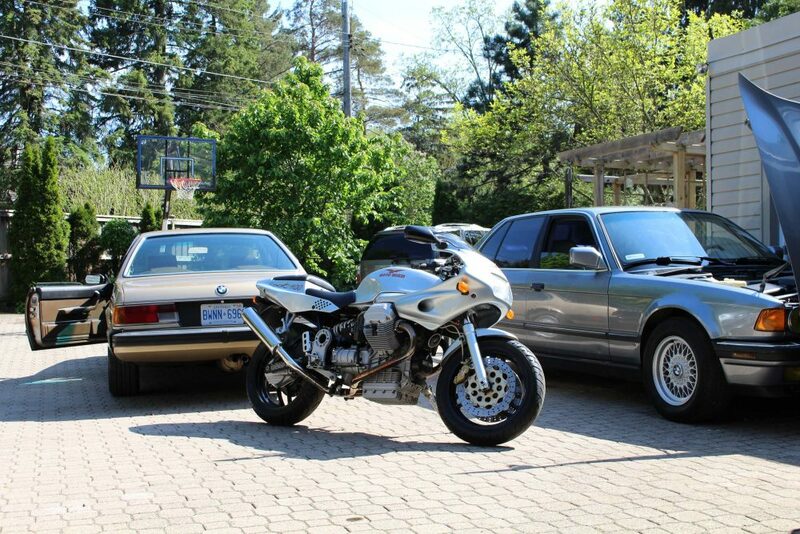 Good write up of a couple of really interesting Bimmers. Thanks. Enjoy! All the best from Portugal. Excellent write-up. I’m happy for you.